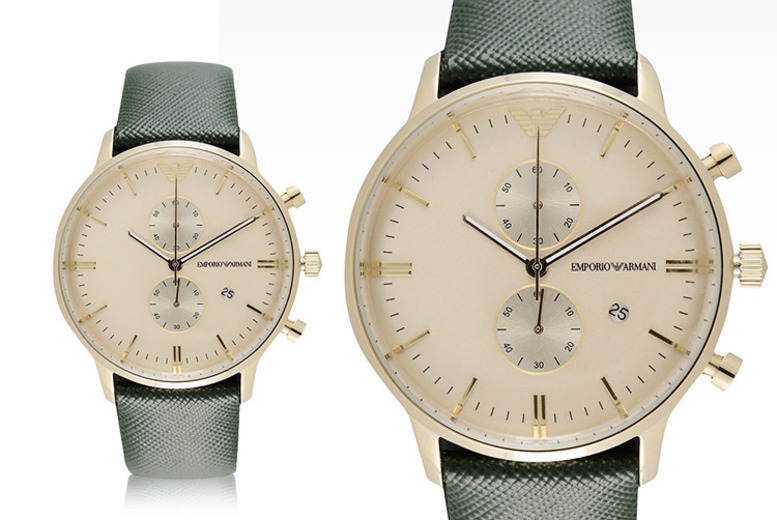 Get a stylish men’s watch from Emporio Armani! Housed in a gold-plated stainless steel case. Finished off with a stylish green fabric strap.